Get ready to explore the future of gaming with the X-Plorer case from Apevia. The X-Plorer features a unique and stylish mesh front panel design that gives your computer a slick futuristic look. 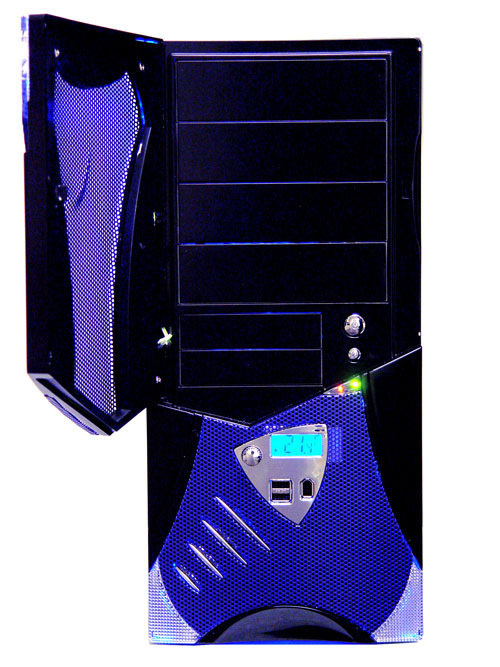 The front bezel also contains a 5-fan fan controller and digital LCD temperature display. The sturdy steel chassis holds ten drive bays and seven expansion slots to allow you to store all of the treasure you find. Side panel air ducting and multiple 80mm fans keep your system running cool and stable. Easy to reach I/O ports located directly below the LCD temperature display allow connection of all your exploratory devices. So prepare to embark on a computational expedition of great proportions with the X-Plorer Case from Apevia. Material: Steel Dimensions: 17" x 7.8" x 19.3"